There has been good rain over the last month, so our veggie garden has been growing quite well since we last posted photos here a month ago. We’ve already been using the fresh parley in scrambled eggs and soup, and there are several green tomatoes as well. 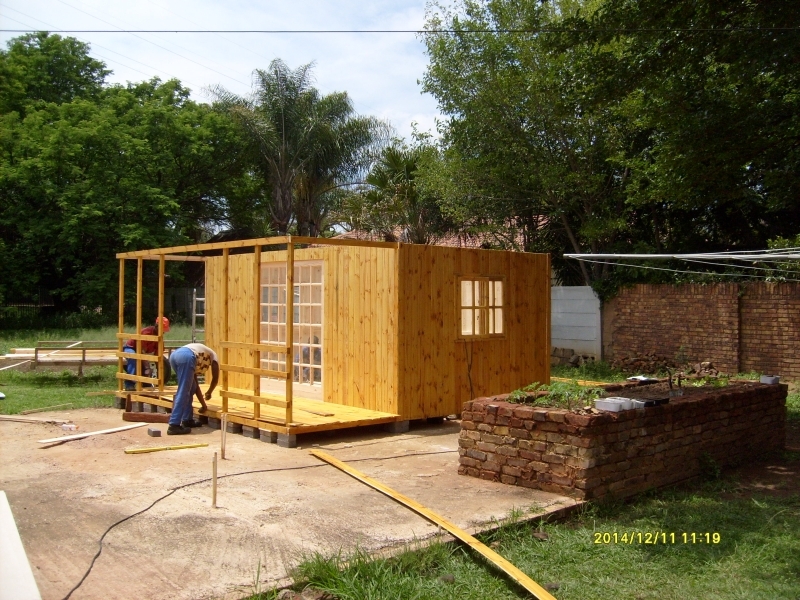 It was also time to give the Wendy house a second coat of wood preservative. 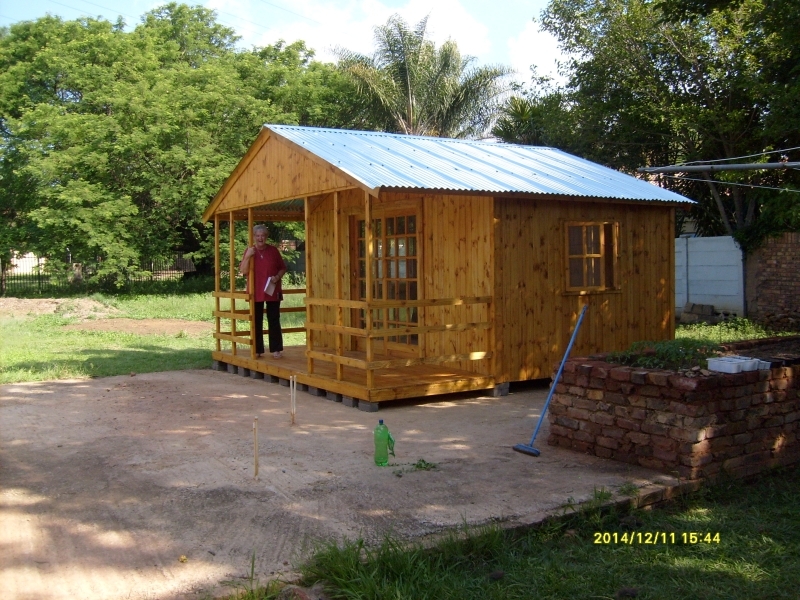 Today we got a Wendy house. 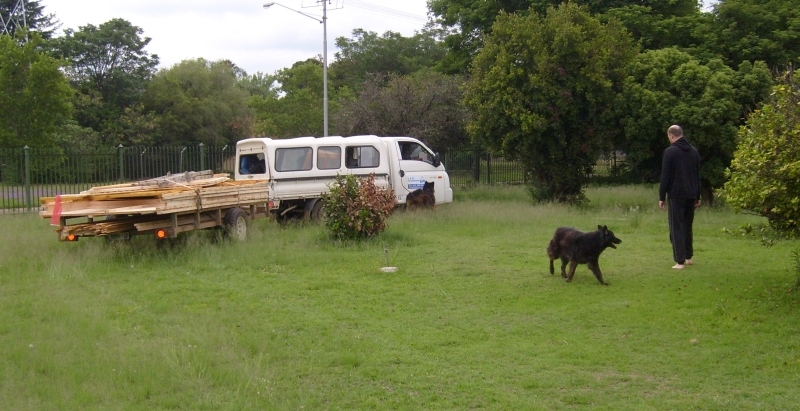 Thirteen years ago a crook builder by the name of Lukas Neethling undertook to build an extension to our house, and started it, but then scarpered with the money. So for 13 years we we had a ruin in the back garden. 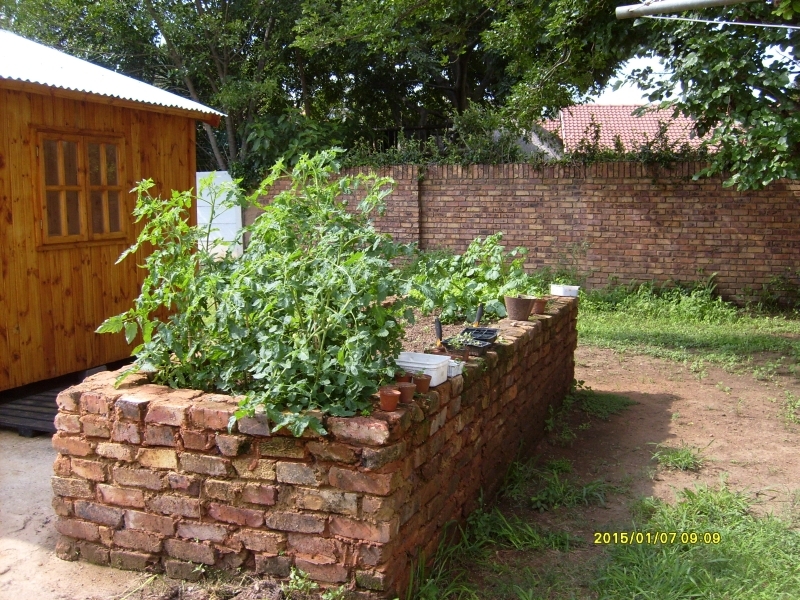 We built a raised garden with some of the salvaged bricks, and decided to put a Wendy house on the concrete slab. 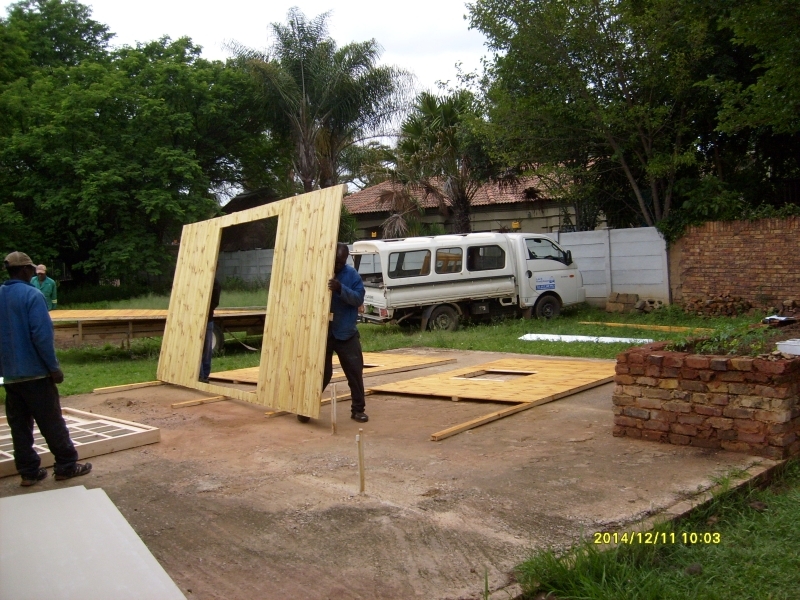 It wouldn’t be as big or versatile as what we had envisaged, but might serve as a guest room. 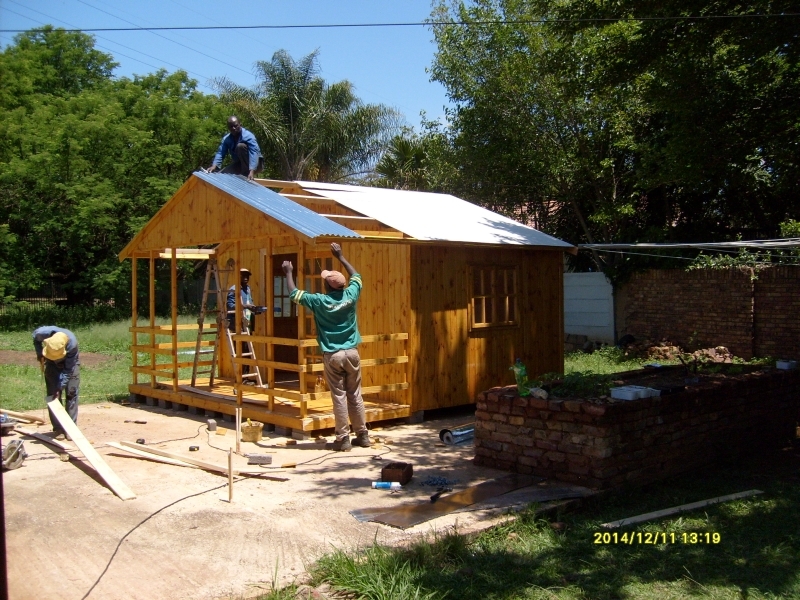 Ar 10:00 am, as promised by A & H Wendyhouses, the house arrived on a trailer with six workmen. They unloaded the bits and set to work to erect it. In less than half an hour it was beginning to take shape. 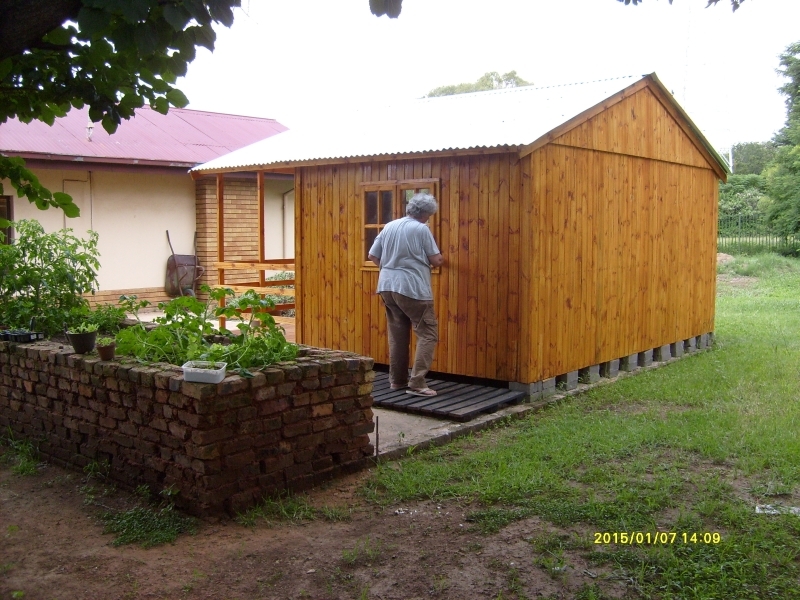 They seemed to work pretty fast, and fortunately it didn’t rain, and Eskom wasn’t doing its usual load-shedding, so they were able to use their elctric drills and saws. There was a slight delay when one of the ceiling insulation panels broke and they had to go and fetch another one. By 4:00 pm it was all done, and we just need to paint it inside, and set it up with some furniture. 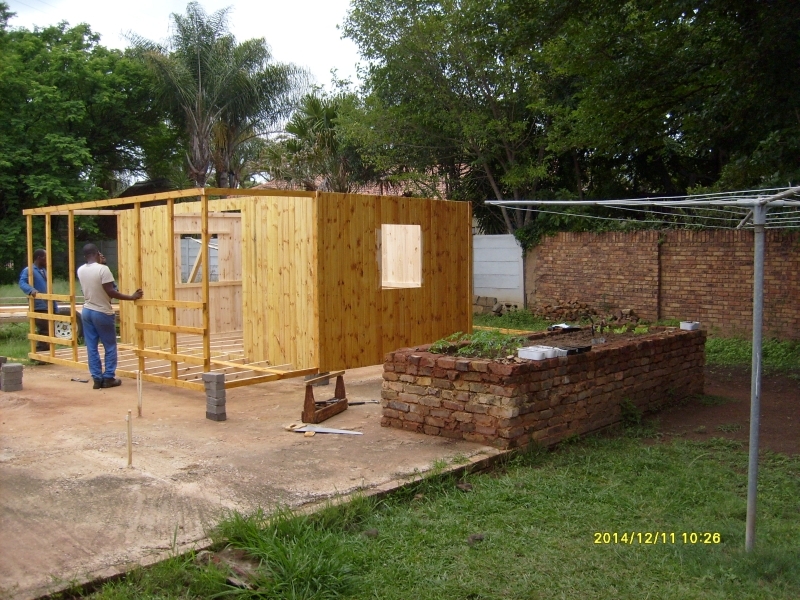 We are very pleased with the work of A & H Wendyhouses, and recommend them to anyone who is looking for something similar. They didn’t mind our pestering with questions, and the workmen did a quick and very professional job.